If you have as much motivation to exercise as you do to read the dictionary from cover to cover, then you need some inspiration from Stefanie! Whether it's cycle, step aerobics, or Pilates, Stefanie's high-energy attitude will get you moving. With a BS in exercise and sports science, an AFAA certification, and individual certifications in cycle, Pilates, and step aerobics, Stephanie backs up her motivating attitude with the skills and knowledge to make sure that you are getting the workout you need to reach your goals. She has watched lives change for the better by dedication to exercise and a healthy lifestyle. Stefanie loves to be a part of the exciting change exercise brings to people's lives. 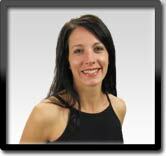 Shelly is an avid runner, group fitness instructor and accomplished dancer who has a passion for all kinds of movement! After completing her first marathon in 2000, she was motivated to also branch out into kickboxing, weight lifting, and various outdoor sporting activities. She says she's addicted to fitness and will never quit! Now it's time to let her share her addiction with you. 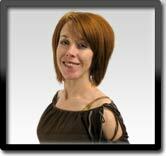 Shelly is a certified Pilates instructor through both Intelligent Exercise and Stott! Her knowledge and energy come from nineteen years of extensive dance training in the disciplines of ballet, hip-hop and jazz which won her numerous national titles such as Miss Dance/Drill International, New York City Dance Alliance's Outstanding Dancer, and a professional dancer for Odyssey Dance Theatre. Shelly also graduated with a bachelor in Science from the University of Utah with an emphasis on Human Development and Nutrition. She also holds certifications with AFAA and the Les Mills programs in Body Combat, Body Pump, Body Jam, and Body Attack. The enjoyment of sharing her passion and helping others find their own is what keeps her going! How can anyone pass up the opportunity to be able to live longer, run and play with their children, feel rejuvenated and have more energy? Jody knows that the key to a great life is in taking care of our bodies. As the 2003 Ms. Fitness Utah, Jody knows what it takes to reach peak physical fitness. She teaches because she loves being an inspiration to others and helping them live well through physical activity. As an ACE certified fitness instructor and an APEX trained nutritionist, Jody has spent the last 13 years helping people increase their quality of life through physical fitness. She believes that by educating people and guiding them through their fitness goals, it is possible to literally change lives physically, emotionally, and mentally. Jody's whole goal is to give you a workout that is entertaining and challenging, but above all, one that makes you want to come back for more! Jennifer began exercising to Jane Fonda as a mere teenager. After completing college, working as a high school teacher, and coaching a cheerleading squad she decided to start teaching group fitness as a way to stay in shape personally. Four kids and many years later, Jennifer is one of the most down to earth instructors you will ever meet. Boasting certifications from ACE, Les Mills and Silver Sneakers, Jennifer continues to teach simply because she loves it. Despite being a busy mother, instructing is a time for her to do what she enjoys most. There is something about teaching a great class while working up a good sweat herself that leaves her rejuvenated, not to mention the reward of watching others get stronger as they reach their fitness goals. You'll leave her classes feeling like you had fun, worked hard and can't wait to come back for more. Dana began training out of frustration. She felt like most of the classes she took weren't meeting her fitness needs. They were inconsistent, unchallenging, and sometimes boring. When she first began teaching 4 years ago, she was looking to help herself. Four years later, she has seen the difference regular and effective exercise can make in people's lives. Now she devotes countless hours preparing and delivering consistent, challenging and entertaining classes. Part of Dana's preparation includes the education necessary to keep her among the most elite group fitness instructors. With a bachelor's degree in exercise and sport's science and certifications from AFAA in both group fitness and Pre/Post Natal exercise you can be sure that Dana will give you the motivation you need to reach your goals with classes that both work your body and entertain your mind. Chrissy is a mother of two and a fitness fanatic. She has trained with Nike Master trainers in the Nike Rockstar program and traveled all over experiencing and learning new skills for her fitness toolbox. With AFAA group fitness, Yogafit, and Zumba certifications, Chrissy is one of the most versatile instructors you will ever meet. Whether she is elevating your heart rate in one of her stimulating dance classes or calming your mind and body with the power of Yoga, Chrissy wants you to experience everything her many years as an instructor has taught her. If the stress of the daily grind is starting to get to you, it's time to let John Cotrrell take you to a more peaceful place. John has a PhD in clinical psychology and practiced for ten years. After working with his own personal trainer and attending fitness classes for years, he developed a passion for health and fitness that lead to a major career change. 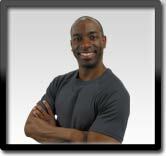 John is Yoga Fit certified as well as a Baptiste Power Yoga instructor. Even after practicing Yoga for nine years, John still sees personal gains in his own fitness level and loves to see others achieve their own personal discoveries and advancement. You'll leave John's workouts with a sense of calm, relief and the satisfaction of knowing you got a great workout! Being an expert fitness instructor and a busy mom can be taxing, but even with 4 kids under the age of 4 Ashley has found that training helps keep her fit enough to keep up with them. Ashley trains because she loves the feeling of being healthy and strong and she wants everyone else to be able to feel the same way. After any of Ashley's Pilates or weight training classes you'll feel rejuvenated and powerful. As far as Ashley is concerned, a great workout is the best way to clear your head and keep you feeling your best.